I bought this rug for a Chinese-style alcove outside my office. The colors matched the cushions I had bought for the chairs in the alcove exactly as I'd hoped, indicating the color on screen was true to the actual rug . 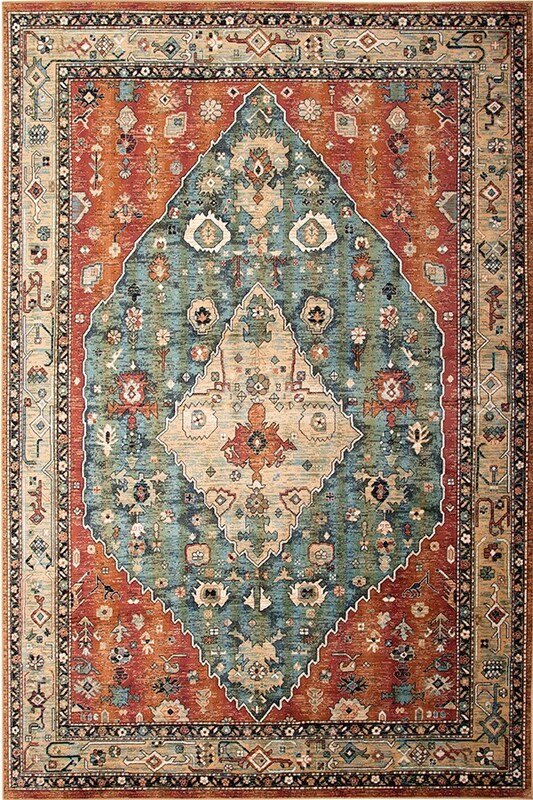 The rug itself is vibrant and has a wonderful sheen that shifts as you view it from different angles. (the photo doesn't do justice) As others have said, it is quite thin--thus four stars for quality--but put a pad under it and everything is fine. Very happy with this product. December 09, 2017 | Beautiful! 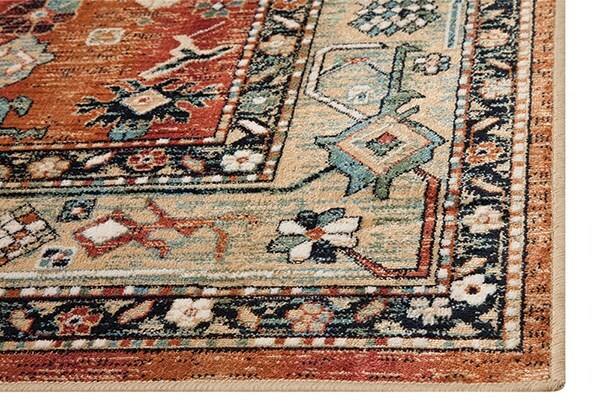 Loved the look of the rug online and read all the reviews. Saw where some said it was super thin but still ordered. Yes, it is very thin but the colors are true to the picture and it looks beautiful in our home. For the price, you can't beat it. Still looks like a very expensive rug. Appears to be well made. Extremely happy with our purchase!!! We have a family room open to kitchen and dining area; in other words, the most used space in the house. I needed a rug that could bring real style yet make sense for our lifestyle. 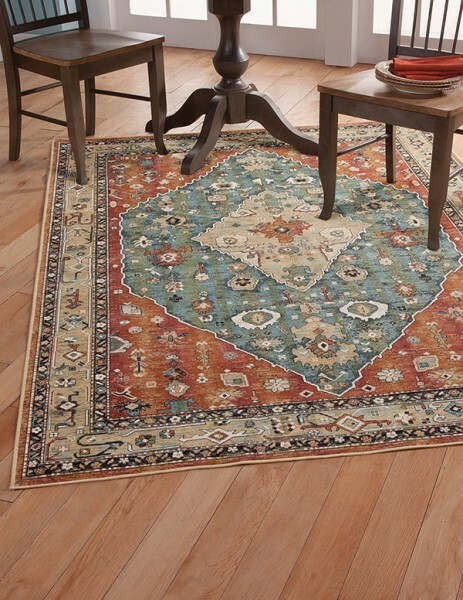 This rug has beautiful colors with a vintage look. It is very soft to the touch which is nice for the grand kids. It's easy to clean and the pattern is very forgiving. The pile is thin, but I like how it lies. 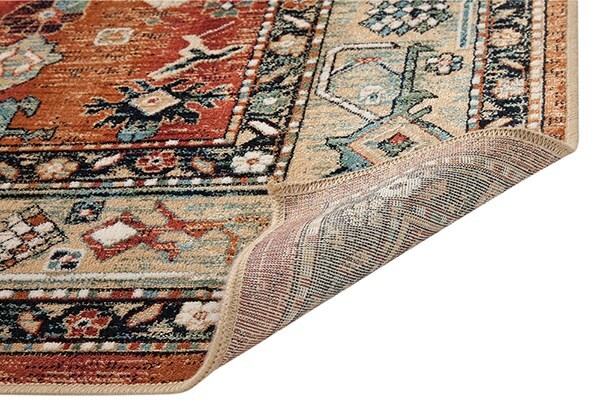 The price of this rug is excellent considering it answers so many of our family needs.